Over the years we have found that there are a few specific fireplace repairs that if ignored can become serious fire hazards down the road. Re-pointing the firebox is a fairly common repair that can be expected after around 20-25 years of constant use in a masonry system. Heatilator fireplaces require slightly different repairs because the metal of the box expands and contracts and often gaps form which can be cause for concern. The lintel gap is our most common repair seen on both masonry and heatilator systems as it is a upside down joint which usually is sandwiched between two metals. This joint becomes loose over time and falls out and a gap then forms. 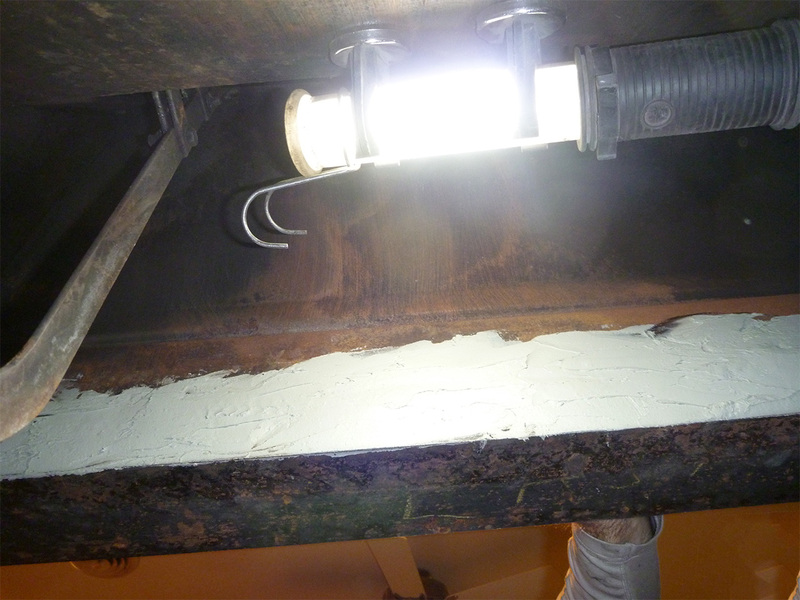 We repair this by inserting steel mesh and a refractory putty which creates a long lasting seal. Below are a list of common fixes that we can repair. To get an exact cost estimate please contact us and we can give you an approximate range. Lintel Gap - The gap between the damper and lintel bar. Re-pointing of Joints - Crumbling/missing firebox mortar joints. Damper Repair - If a Top Mount damper is not an option/desired we can repair base dampers. Fireplace Door/Screen Repair - Doors expand and contract causing poor/unsafe operation. Burnt Out Grates - See our Fireplace Grates page. Ash Drop Door Repair - These often rust out or become seized. Outside Air Feed Repair - Sometimes these can jam or become loose. 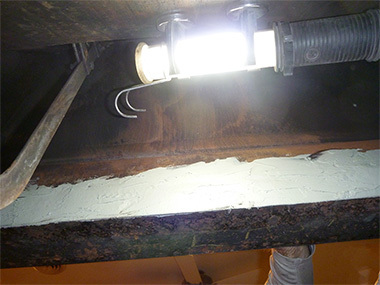 Flue Tile Joint Repair - Mortar joints can fall out, and we repair them when possible. Staining/Soot Removal - We offer products/services to clean your fireplace. To request a free repair estimate please head over to our contact page and let us know how we can help you.